IPR will be taking part in the London Legal Walk on Monday 16th May 2016. 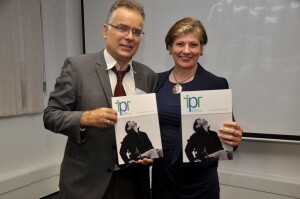 Last year IPR raised over £1400 to help fund our services and this year we hope to raise even more! All the money raised goes to Islington People’s Rights to help us continue our vital work helping Islington’s most vulnerable residents. If you would like to donate, please visit the following link. A warm thank you to the 100+ people who attended our AGM at Resource for London on Holloway Road and contributed to it being a successful event. Cllr Richard Watts, the Leader of Islington Council, spoke about the challenges the local authority faces as it awaits news about its future funding from national Government. 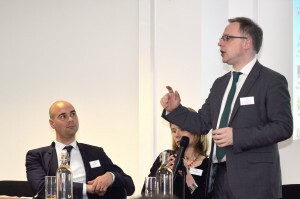 He highlighted the importance of the Advice Sector and the vital work it undertakes for residents of the borough. Carolina Gottardo, the Director of the Latin American Women’s Rights Service (LAWRS) spoke about the specific challenges the Latin American Community face in London, and the problems that women from Black Asian and Minority Ethnic (BAME) Backgrounds face more generally. She praised IPR’s recently-launched new project working with BAME community organisations based in Islington, which assists people with welfare benefits and debt issues. 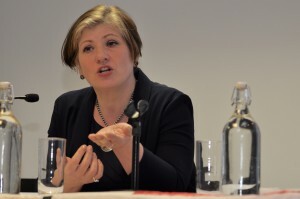 Emily Thornberry, the MP for Islington South and Finsbury, and Shadow Minister of State for Employment, spoke of the very real impact on the lives of many constituents as a result of the various welfare reforms over recent years. The Benefits Cap, Local Housing Allowance changes, Benefit Sanctions, Disability Benefits changes and numerous other welfare reforms are having devastating effects on many of the poorest residents of the borough. 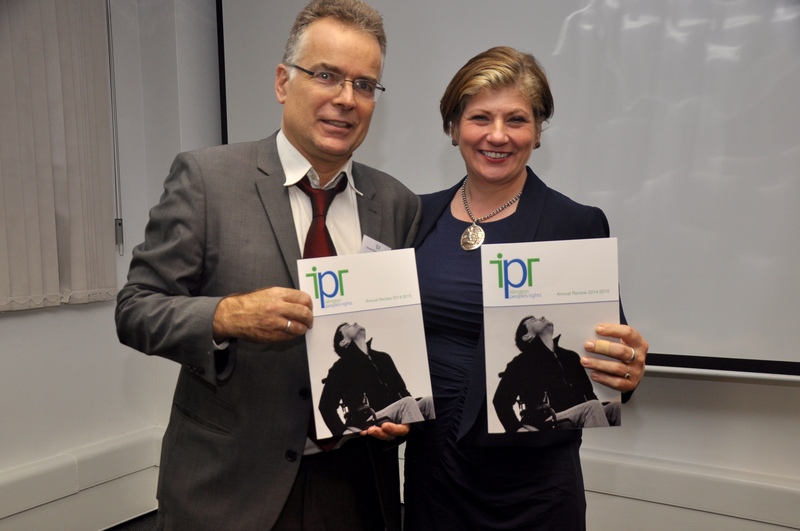 Emily Thornberry, MP for Islington South with Gerard Omasta-Milsom at IPR AGM 2015. Jeremy Corbyn MP had been scheduled to speak, but was unfortunately unable to do so in the final instance. He did however, send a video message, with his apologies, which was broadcast to the meeting, and very well received. 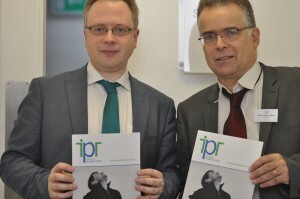 He highlighted the positive outcomes that IPR has achieved for residents of his Islington North constituency, enabling many to access their full entitlement of benefits. He made clear his opposition to the Government’s proposed cuts in relation to working tax credits, which will adversely affect so many families on low incomes. The Welfare Reform Bill will have many further implications on the poorest in society, and he stressed the need for a Welfare system that supports people when they need it. The message from Jeremy Corbyn ended by stating that we should “be able to live in a society where poverty is a distant memory, not the sad reality for so many”. Islington Law Centre, Islington People’s Rights, and Islington Citizens’ Advice Bureau held this FREE conference and training, celebrating the achievements of the Advising Islington Together project. 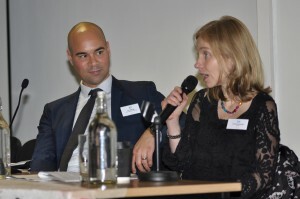 The Conference included both speakers and workshops covering key issues and developments for the Islington Advice Sector including; welfare benefits, debt, employment, immigration, and much more. The evening reception was also the launch event for the report ‘It’s no fun being on benefits: A study into experiences of Welfare Reform in Islington” developed by Every Voice and Islington Community Network, supported by Advising Islington Together. We were pleased that over 100 of you joined us at Islington Assembly Hall to learn more about the current welfare reforms and other key advice issues. Islington Advice Alliance brings together Islington Citizens’ Advice Bureau, Islington People’s Rights and Islington Law Centre, working together to support the local community. The Advising Islington Together project, was funded via the Big Lottery’s Advice Services Transition Fund (ASTF) and set up to assist advice agencies to meet the needs of clients in new ways. 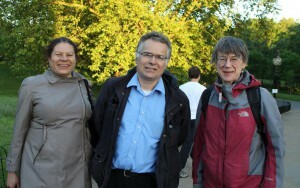 IPR participated in the London Legal Walk for the first time on Monday 18th May. Our team of three walkers, Helen, Gerard, and Henrietta (pictured below), completed the sponsored 10km walk which took place in central London and was organised by The London Legal Support Trust. Team IPR’s efforts have so far raised over £1300 in much-needed funds. Our donations page is still open and all the money raised goes to Islington People’s Rights to help us continue to do the work we do. If you would like to donate, please visit the following link. We would like to say a huge thank you to all of our donors for making our first London Legal Walk so successful and we look forward to participating again in 2016!